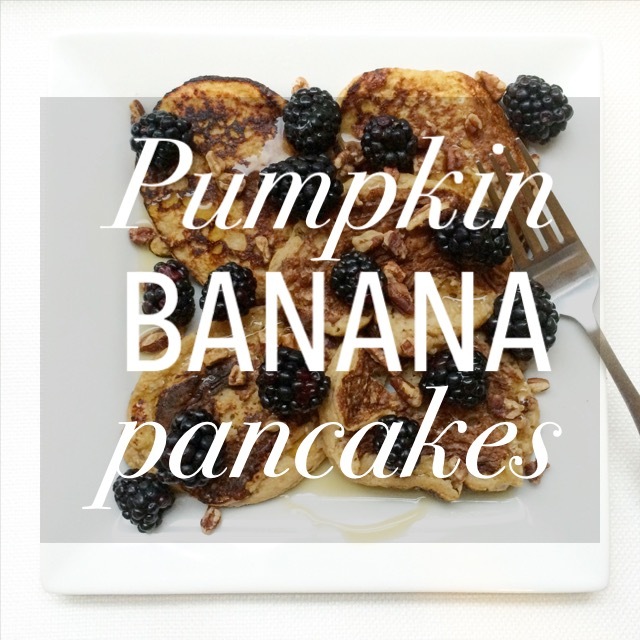 Detox the day after Thanksgiving with some Pumpkin Banana Pancakes. 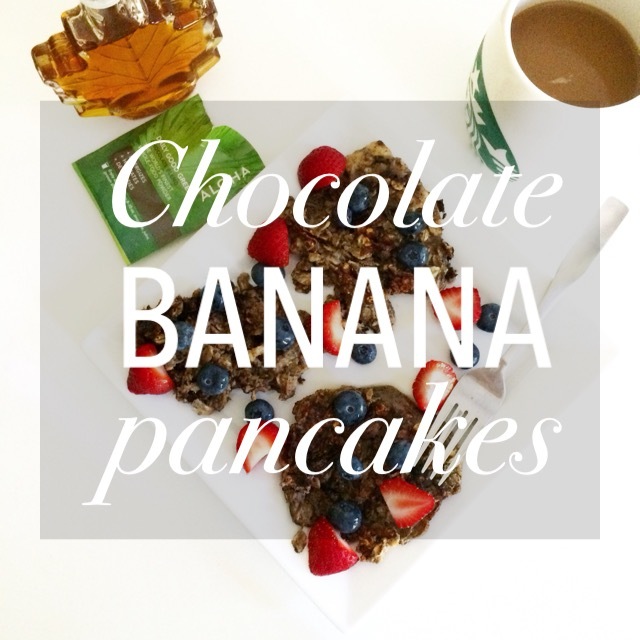 A spin off of my Banana Oat Pancakes and my Chocolate Banana Pancakes, these are sure to delight. Unlike the other two versions, I used a blender (a food processor works as well) to seamlessly incorporate the pumpkin purée and effortlessly combine all the ingredients. The consistency resembles your more traditional pancakes, but is still packed with all the flavor you’d expect from a fall brunch. These can’t be that delicious and that good for you. Seriously, it’s not fair. I’ve made banana oat pancakes in the past, but was feeling something different. I have some of Aloha‘s Chocolate Daily Good Greens in my pantry and the addition seemed perfect. Here’s an updated version to the banana oat pancakes — Chocolate Banana Pancakes!